Ever wonder what this means? 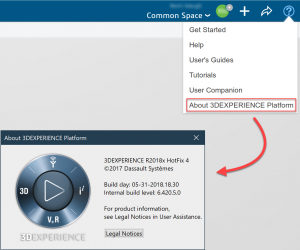 3DEXPERIENCE is referred to as a platform. It is more than simply the next generation of CATIA, rather it is a collection of many technologies (“components”), each one with its own pace of development that must align with one another within the greater platform environment. As an example, native apps, e.g. CATIA, will be at one level of HotFix, while another technology, perhaps something within ENOVIA or SIMULIA, will be at another. Quite a lot to keep track of! FD stands for Functional Delivery. It represents an update of the software that is validated by Dassault Systemes R&D across all the technologies (“components”) that make up 3DEXPERIENCE. At the time of this writing, 2019x is in the initial “Golden” release, which is also known as General Availability (GA). 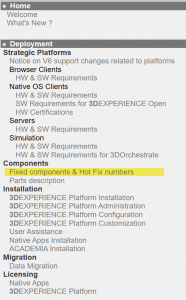 Historically, each major release of 3DEXPERIENCE has had a minor update shortly after GA, which can be considered a “00” update. The first validated update however will always be FD01. 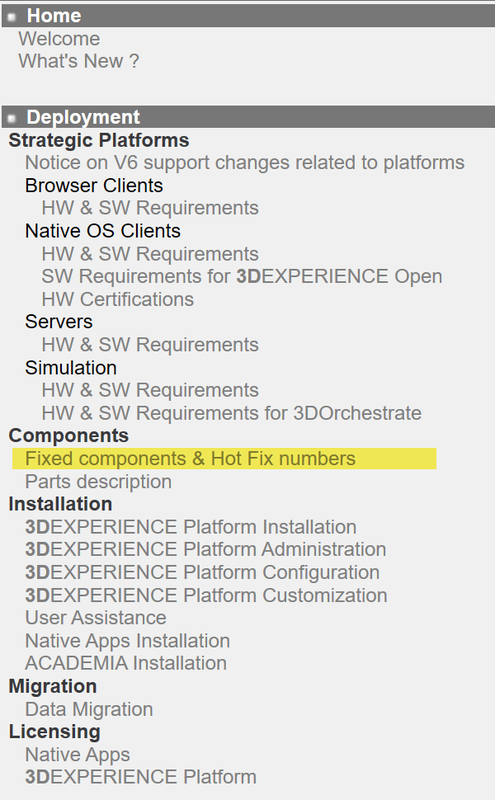 Typically released every 8 weeks, a Fix Pack (FP) contains all the Hot Fixes for each component. These FP’s are assigned a four-digit number YYWW which represents the year and week. At the time of this writing, the most recent FP for 2018x is 1846. Which means that it was made available on November 16, 2018, as Fix Packs are usually released on a Friday. This particular FP is also identified as FD06. The definition of a Hot Fix can be seen in the Dassault Systèmes glossary located at https://www.3ds.com/support/new-customer/faq-glossary/. In short, these are incremental corrections to the software. The Configured Fix is significant for its “A” classification. A CF is a collection of Hot Fixes configured and certified for all customers. Upon release, Configured Fixes with A classification are termed a Fix Pack with the naming format FP.CFA.YYWW. Configured Fixes of different classification (B, C, D, etc.) exist but these are only available through an explicit agreement with Dassault Systèmes for specific business needs. Finally, we have the Internal Build level. 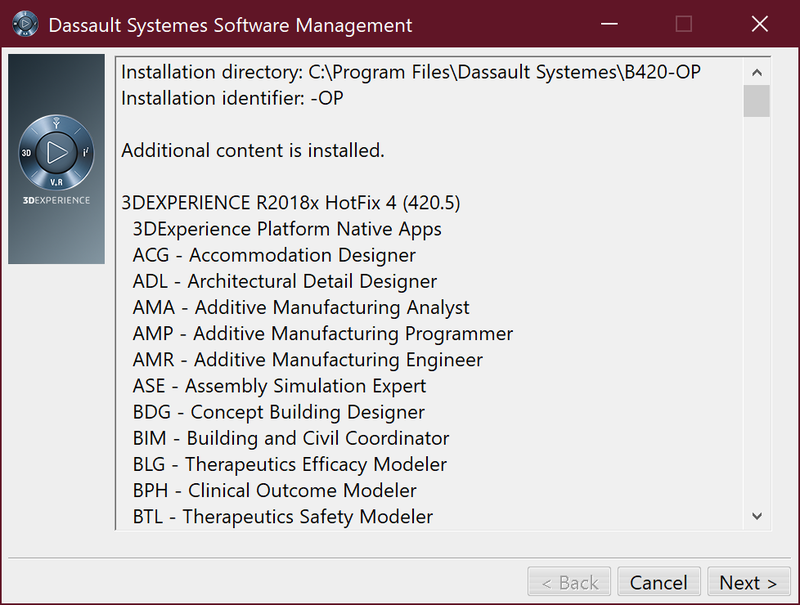 This can be seen within the Windows add/remove programs dialog under the Version column. 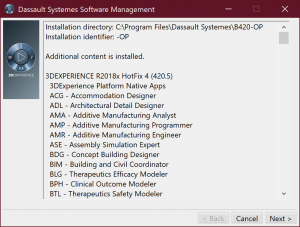 It relates directly to the installed code on disk and is named according to Dassault Systemes convention. The first digit, the “6” quite simply indicates V6. The internal designation for the 2018x major release is “420”, which can be seen on disk within Program Files in Windows. The numbers that follow are the software builds internal to Dassault Systèmes; the revision in my example shows a code build of 5. The important takeaway here is that this number is not the Hot Fix level. One final note, there is a minor inconsistency in the Fixed Components document for version 2016x. There was a 00 update called FP.CFA.1546 which was subsequently pulled from availability. All revisions of the Fixed Components document from FD02 onward do not include this update. For the 2016x version of 3DX only, the rightmost column of the document is FD01. 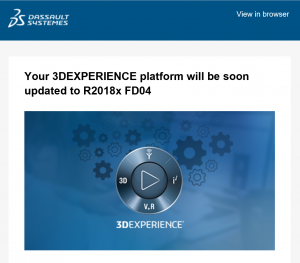 3DEXPERIENCE is a sophisticated collection of technologies which Dassault Systèmes continues to enhance with development and acquisitions. Hopefully this article will be a valuable reference to help you keep track of its changes now and in the future.